San Francisco, CA — A man facing nearly 10 years in state prison following an encounter with overzealous security guards at Target was released after a jury found him not guilty of attempted robbery, San Francisco Public Defender Jeff Adachi announced today. Jurors deliberated less than five hours before reaching their verdict Monday afternoon, acquitting Jake Fitch-Barclay, 35, of two counts of felony attempted robbery, along with enhancements for use of a deadly weapon and causing great bodily injury. The San Francisco resident was convicted instead of shoplifting, a misdemeanor, and sentenced to time served. Fitch-Barclay, who had been in jail more than five months, wept with relief at the verdict, said his attorney, Deputy Public Defender Emily Dahm. 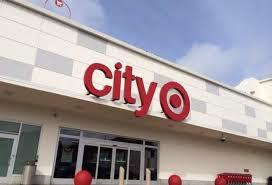 The April 16 incident occurred at the Target store on Geary Boulevard and Masonic Avenue, where Fitch-Barclay had just shoplifted several items, including the shoes he was wearing. As he walked out, three security guards ran at him from different directions, tackling him against a wall. Security footage showed Fitch-Barclay did not fight back against the three young security guards, one of whom was a college football player. He immediately dropped all of the stolen merchandise except for the shoes, which he was wearing. The footage showed the three guards violently dragging a passive Fitch-Barclay into the store, hoisting him into the air and then throwing him to the floor and jumping on top of him. Fitch-Barclay did not fight back, but clutched a pocket knife out of fear the men would beat him inside the store, Dahm said. Two of the guards were injured when they tackled Fitch-Barclay—one guard nicking his hand on the knife and the other suffering a cut to his leg that required stitches. “The video was clear. Mr. Fitch-Barclay never waves the knife or tries to stab anyone. He simply held it for protection. The guards were still manhandling him after he dropped all the merchandise, and he feared they would drag him to a back room and hurt him,” Dahm said. Dahm asked jurors to convict Mr. Fitch-Barclay of the crime he actually committed: petty theft. “The jury could see for themselves this case was overcharged. When government over-reaches, juries must step in to set things right,” Dahm said. Adachi criticized the decision to prosecute shoplifting as a serious felony case.